For when good sleeping posture is vital. Installed for you with our safe 60 night trial. Our best selling mattress... every year! For today's price / to order click 'today' buttons below. 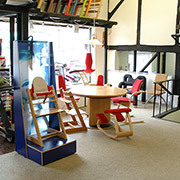 Call us for skilled advice or to order by phone. Optimized for those with back and neck problems. 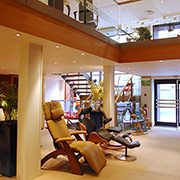 60 Night Trial - Click for details and sleep relaxed!. Zip removable washable cover - (spares available). Easy to change sleeping position (Partners are undisturbed). "I haven't had to go back to physio since the mattress was delivered, and I smile every time I lie down. Its just brilliant." Stretch sheets are reccomended for use with all foam mattresses as they do not affect the feel of the mattress. Let the Mattress move freely for optimal support and sleeping comfort. Better in terms of ergonomics than classic. woven fiited sheets. 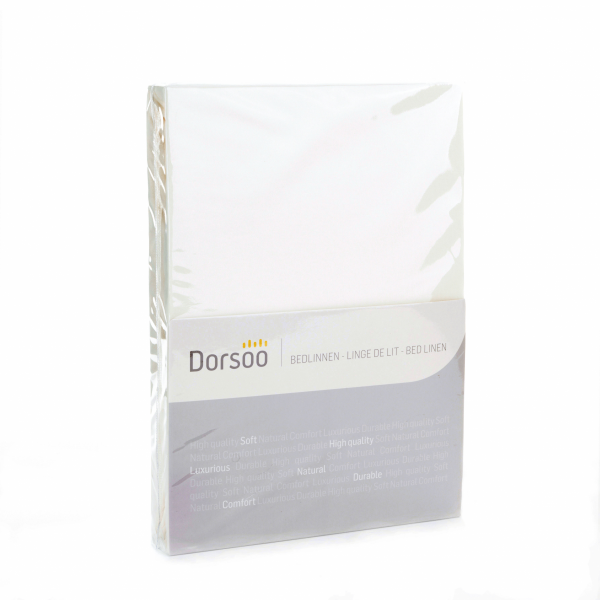 95% consists of cotton and 5% of elastane for elasticity. Slightly thicker than traditional woven fitted sheet. Easy to use - the stretch allows back pain sufferers to more easily dress a bed. All fitted sheets will fit a mattress with a max length of 200 to 220. 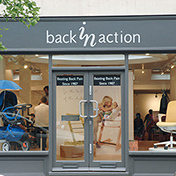 A complete Back in Action Mattress Cover (for use in Winter or for those who sleep cold). This is a spare ; All BIA Mattresses come with this cover already fitted as standard. 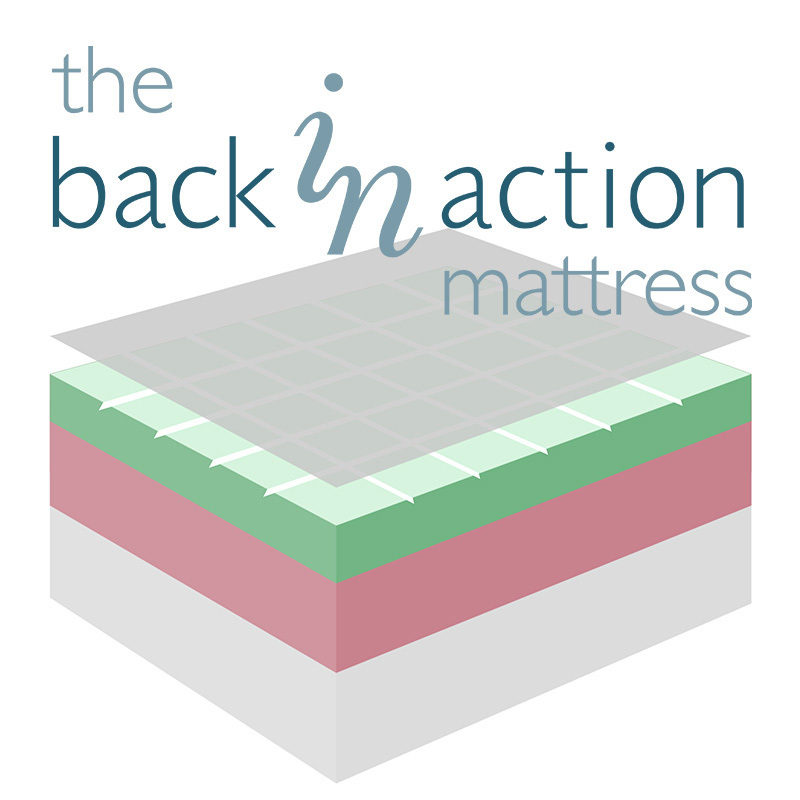 A complete Back in Action Mattress Cover - Outlast™ (for use in Summer or for those who sleep hot) All BIA Mattresses come with this cover already fitted as standard. "I haven't had to go back to physio since the mattress was delivered, and I smile every time I lie down. It's just brilliant." 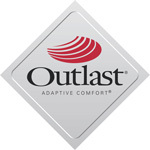 A Very high quality Outlast™ cover, suitable for all year-round sleeping. An optional winter cover is available for a warmer, softer feel. Mattress cover is zipped around uppermost edge for easy removal of the top panel allowing for easy washing. No need to remove the whole cover from the mattress. Read more about Outlast® Technology below. 1 2.5cm 'air-circulating' luxury-soft top layer to ensure mattress feels welcoming even in colder rooms, with grooves ensuring good air circulation. 2 7.5cm high density slow-action foam. The slow-action lets you turn over and move more easily. Maintains exceptional postural alignment while sleeping. 3 Reflex layer gives life to the mattress, provides a perfect, medium level of 'bounce', transmitting only minimal disturbance between partners when changing position at night. 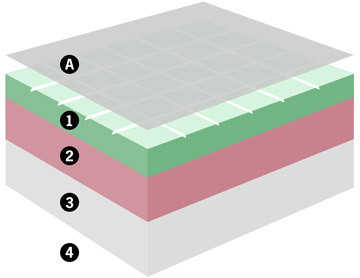 4 The mattress can be used on a solid padded top base or slatted base (where the slats are no more than 75mm apart). 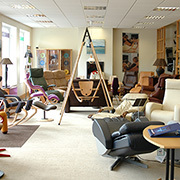 We haven't worried whether the mattress feels good when you prod it in the showroom. (Most mattresses are made to feel good at first prod... It's an industry trick, so that people will stop and try them). We've made sure it supports you while you are relaxed and asleep, not just in the first few minutes, but all night long. If you are local, come and try it in one of our 4 stores.